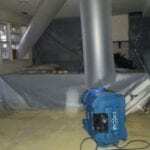 When you need water damage restoration in Walkersville, MD we're the company to call. If you’re working with your insurance company on a claim, we can work with them and you to help the claim process go smoothly. 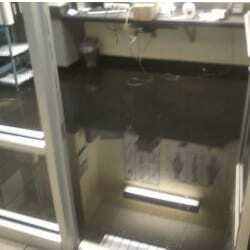 As the property owner, you have the right to hire any water damage company you want to restore your property. You do not have to use your insurance company's preferred vendor and they cannot deny your claim or not pay because you want to use a contractor of your choice. When it comes to water damage restoration in Walkersville, we have a very thorough process to restore your property back to pre-loss condition. Call us today! Now that we know where the water is located, we begin removing the bulk of the water including any standing water. For large amounts of standing water, we may use water pumps to remove the water from your property quickly. Removing the water as fast as possible helps to prevent any mold or other microbial growth. To extract carpet, tile, and concrete we use our powerful truck mounted extraction equipment with an array of tools for these various flooring surfaces. Removing the bulk water greatly reduces humidity immediately. 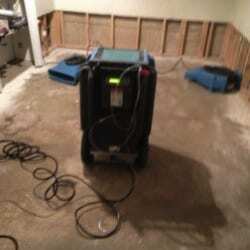 All it takes is one phone call and we are on our way to handle all your water damage cleanup needs. Call RestoreUnow today to request a quote! Not only will we install specialty structural drying equipment, but we will remove non-restorable materials such as drywall, insulation, baseboards, linoleum, etc. We do this in order to increase the rate of drying. A certified and trained estimator will inspect your home regularly to ensure that your home is drying as quickly as possible. We will document the scope of work, as well as relative humidity of the air, moisture content levels, and overall drying progress. Digital pictures are taken for evidence of the affected areas, structural damage, and damaged contents if applicable. We provide services to Walkersville, MD, including ZIP code 21793. We also provide services to areas such as Urbana, MD and Mount Airy, MD.